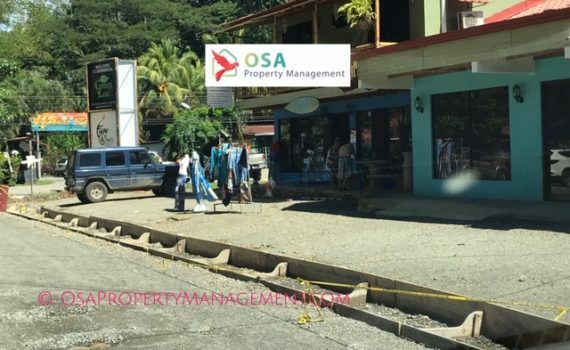 There have been fewer rumored infrastructure projects discussed in the Bahia Ballena/Osa region than whether or not there will be a Dominical paved road or if it will stay as gravel. As one can see, the rumors are finally becoming a reality. As of December 2018 there will be a Dominical Paved Road running from the Costanera Highway (Highway 34) down 50 meters into Dominical (past Delicias), turning left (south) at the first intersection, at the only stop sign in town, and then going all the way through Dominical until the ICE tower. Additionally, the Dominical Paved Road will head north from the stop sign for several hundred meters also. Below is Abigail Vargas explaining the Dominical paved road in Spanish. Throughout Dominical (both north and south of the stop sign), large, new drainage systems have been built or are in the final stages of completion. All told, this is a very large infrastructural project that is being completed by the Osa Municipality to improve the customer experience of visiting Dominical. The Dominical Paved Road is not without its opponents, however. There is a group of long-term resident ex-pats who prefer to keep the ruggedness of Dominical and consider the dusty, bumpy, road as Dominical's "charm". I used to work for a company based in Dominical's main street and I can attest that breathing in the dust all day, fighting for precious parking spots on the narrow and undefined road and watching vehicles and buses come dangerously close to hitting pedestrians, will not be missed by many. As many people know, Dominical is home to some of the world's best surfing, has a great funky and energetic vibe and is a beautiful place to watch the sunset. 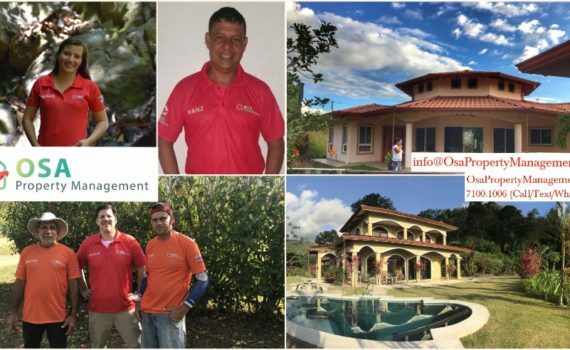 Due to these amazing benefits, making the road safer for travelers, visitors and the people who work in Dominical, the Dominical paved road will be greatly appreciated.